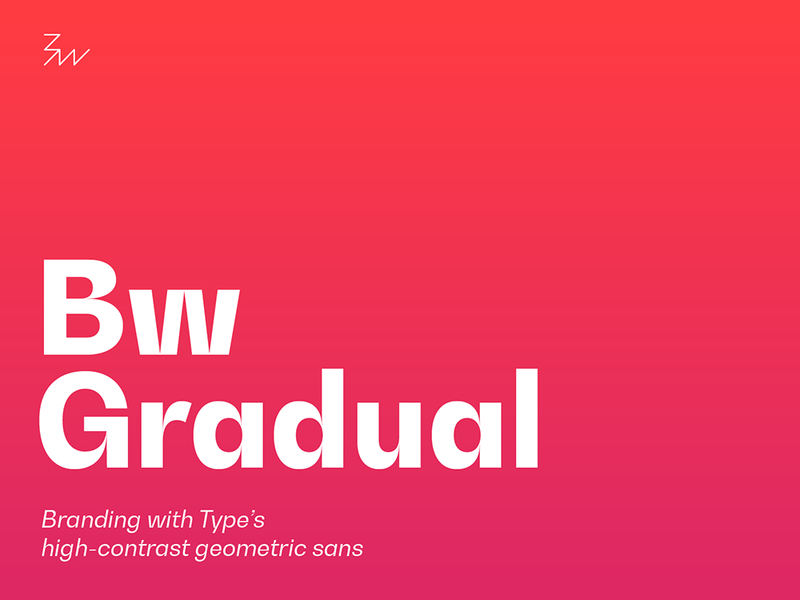 Bw Gradual, the edgy new typeface from Branding with Type brings together the pragmatic essence of the geometric grotesque genre with the visual appeal of its very deep joins. Pure shapes and fast curves gracefully coexist in this versatile font family, instantly capturing the viewer’s attention when used large. Bw Gradual also delivers a very pleasant reading experience when used as body copy, thanks to its deep joins acting as ink traps. Designed by Alberto Romanos, Bw Gradual is available in seven weights from the delicate Thin to the robust Black with accompanying oblique italics. It supports all European Latin languages and it includes many useful OpenType features like ligatures, old style figures, and case-sensitive forms. Free demo and all-in-one desktop, webfont, mobile app and broadcast licenses available from Branding with Type.